We have been discussing the dangers of ingesting Bisphenol-A (BPA), a common chemical found in baby bottles and many food containers. To see our comments about the US Food and Drug Administration (FDA) statements encouraging Americans to avoid BPA click here. Breastfeeding is one way to reduce potential BPA exposure. The American Academy of Pediatrics (AAP) recommends exclusive breastfeeding for a minimum of four-months but preferably for six-months. But, as nannies and au pairs we must use baby bottles to feed infants while mothers are working. So, it is important for us to use BPA-free baby bottles. On Monday, we reviewed the Adiri nurser and Avent Via BPA-free bottles. Yesterday, we discussed the Wee Go glass nurser by Babylife. Today, we ask nannies and au pairs how they like the Born Free plastic baby bottles. The Born Free BPA-free baby bottles are endorsed by many organic feeding experts. These bottles are guaranteed to be free of BPA. Born Free does use not polycarbonate in their feeding bottles. All parts of the bottles are designed to withstand sterilization by regular boiling at five-to-ten minutes intervals. 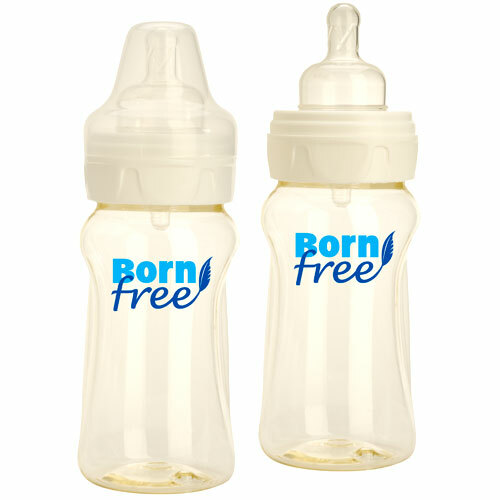 Have you used Born Free baby bottles? What do you like about them? FINALLY convinced parents we should change bottles and we just tried all over to buy these and they are all out of stock. Until then we will be using glass bottles. Thanks for letting us know about BPA. Absolutely not Born Free. They leak and their customer service is terrible. I like both Avent and Dr. Brown's.